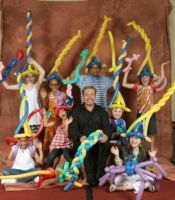 Billy Heh - Pittsburgh Magician, Birthday Party Entertainer, Balloon Artist, Local Balloon Twister for hire. 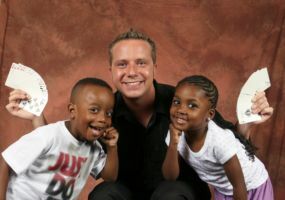 Billy Heh - Pittsburgh Magician, Birthday Party Entertainer, Balloon Artist, Local Balloon Twister for hire. Birthday Party Magician, Family Magician, Stage Magician, Comedy Magician, Close Up Magician, Strolling Magician, Hotel Magician, Balloon Artist and Twister, Magic Instructor For Any and All Events. 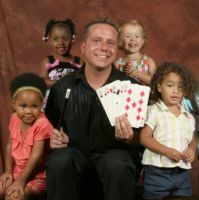 Billy Heh is an experienced Children's and Adult magician who performs magic tricks, balloon modeling, and entertainment for any event. His performances range from small birthday parties to large corporation gatherings. He can adapt any show to your needs. Last Minute Bookings No Problem! Shows can run as long as you need. We aim to please. Look me up on the web at www.BILLYHEH.com, and be sure to check out my guestbook to research, and read, past reviews that clients have posted about my show. Or you can look me up on the internet with a general BILLY HEH google word search. Then call 412 758 5367 for a price quote. I can mold the performance to any venue you desire. Billy Heh is living in the Pittsburgh, Pennsylvania area but travels for performances all the time. 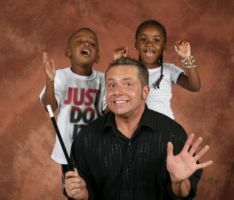 My magical extravaganza is bound to be entertaining for people of all ages. Some of my magic spectacles to look forward to include comedy magic, disappearing acts, mentalism, and other illusions that have been performed by the most well known magic professionals of the century. I see magic as an art but also as a way of expression. I not only challenge audiences to open their imaginations and marvel at huge spectacle, but also desire them to admire at the arts of theme and theatre. This unique combination provides hours of entertainment for all audiences. You might have seen some of these illusions done before but they will seem like new when you see my stage performance. You will not believe your eyes because the combination of magic and comedy will leave you scratching your head and begging for more. Join in and write your own page! It's easy to do. How? Simply click here to return to Pennsylvania Entertainers.